Site4 are an accredited Sage Accountants Club Partner. We are fully accredited authorised resellers of Sage software. As the Sage range of products is rather large we have split it into five for your convenience. and please click here for Sage Training. Sage 50 HR software helps you to record, store and maintain the relevant information about your past and current employees easily and quickly helping you to keep up with the growing demands of legislation and record keeping. Did you know you're legally required to retain the records of employees for 3 years after they have left your business? Sage 50 HR software v4 is the latest version of Sage 50 HR software, replacing Sage 50 HR v2010 ( which in turn replaced HR v2009, HR v2007 and Sage Personnel software in 2007). Sage 50 HR software lets you look after probably the most important asset in your business - your people. Sage 50 HR v4 lets you record store and maintain up to date information about your employees, keep all your information in one place with no need to re-key info from Sage 50 Payroll and offers different levels of security to maintain confidentiality. You can keep a record of all communications, actions and evidence for disputes, monitor and analyse skills, work patterns etc. either at a high level or in detailed reports and even design your own reports. Sage 50 HR v4 builds on previous versions with a series of installation and support related improvements including a quicker and easier installation process, introduction of 64Bit operating system compatibility and a new data relocation so you can easily reconfigure and relocate where your data files are installed. It also includes a simple MySQL Configuration Utility that enables you to seamlessly take and restore backups, configure and share data locations and relocate data files at the click of a button. The other main new feature allows you to delete a selection or group of employees so you can easily keep your files up to date. Click on the link for a simple tick chart comparison of ALL new product features added from v2007 to v4 for Sage 50 HR software. With the launch of v4 the pricing for Sage 50 HR software is now dependent on the number of employees as well as companies and users. 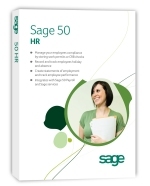 All in all Sage 50 HR software covers all the main areas of people management in one simple package so you can answer any questions about personal details including records of salary, holiday records, absences, working patterns, skills, disciplinary offences, performance and training for anyone working in your business. Site4 prices for Sage 50 HR v4 software start from £172 ex VAT including one year Sage Cover. Buy NOW! Sage 50 P11D (previously Sage P11D) and Sage 50 P11D Professional software v2016 (previously Sage P11D Professional) are invaluable, providing simple management of accurate information about all employee benefits and expenses which has to be supplied to the Government at the end of each tax year. The software is fully compliant for the 2016 /2017 tax year and allows you to submit your returns on the internet. 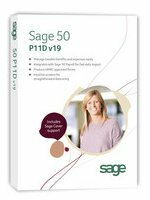 To order your Sage 50 P11D software for 2016 / 2017 Year End from Site4 now call us on 01257 460018. Discounted prices from only £146 ex Vat. The P11D software for 2016 / 2017 Year End is now shipping. Don't do it the hard way, let Sage P11D software do the work for you especially as using either of the two products requires no in-house tax expertise and they will both save you time and money and reduce your manual errors. Extra reassurance is provided that your automatic calculations will be correct as they are approved by leading tax specialists, Ernst and Young. Sage 50 P11D Professional 2017 offers extra features extra control through management reports, multi user, batch processing, benefit templates to save time, audit trail, global PSA benefits support and the big one - support for unlimited employees. Sage 50 P11D and P11D Professional integrate with the latest versions of Sage 50 Payroll and Sage 50 Payroll Professional and Sage Instant Payroll using the current tax year. Click on the link text for a simple tick chart comparison of the product features for Sage 50 P11D and P11D Professional and minimum system requirements. Sage Cover until January 2018 is included with both Sage 50 P11D and Sage 50 P11D Professional 2016/2017. Renewal direct with Sage. Please call us on 01257 460018 or email us for prices for Sage software upgrades. In order to quote you we require your existing Sage license key, the name and address the software is licensed to, the existing product details and what you would like to upgrade to. For charity discounts on Sage Payroll and HR upgrades please also supply your UK registered charity number. For details about Sage Cover support please click here. If you require help installing Sage, on-site support, training or any other assistance for your Sage products please contact us at Site4 as we will be happy to quote you. Our offices are in Euxton, Chorley in Lancashire. We can provide on-site services in Lancashire, Merseyside, Manchester, North Cheshire and across the UK mainland and Scottish Islands for all businesses including charities. If required we can also provide Sage consultancy and training onsite in the Channel Islands. Please contact us to confirm availability of consultants.